In today’s busy world, it’s hard to find time away from the noise and focus on yourself. The same holds true for kids. Chopra, the daughter of wellness guru Deepak Chopra, practiced meditation and mindfulness with her family from a young age. Now, the mom of two daughters is bringing the ancient art to a new generation -- including her own kids -- in her book, "Just Breathe: Meditation, Mindfulness and More." 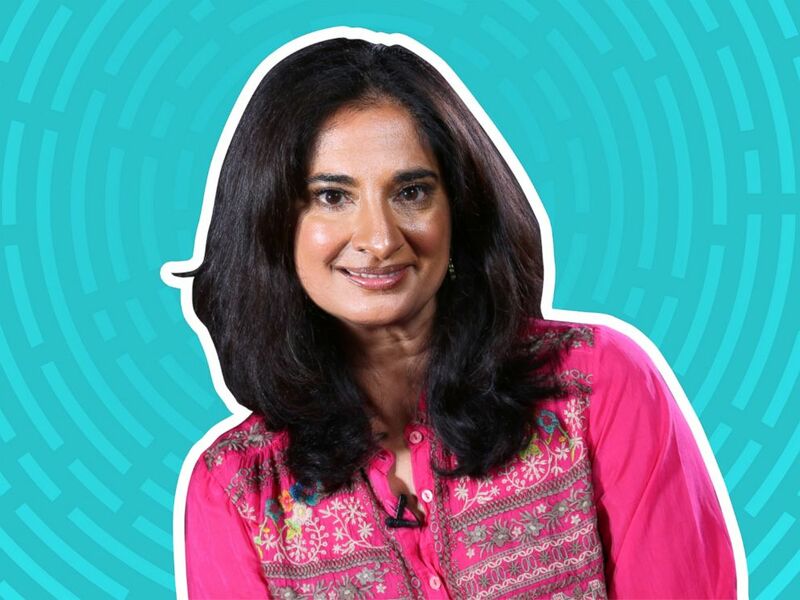 "It's a book written for kids," Chopra told “GMA.” "The goal is to empower children directly with the tools to find more calm in their lives, be more focused and generally be happier." The illustrated guide, geared towards children ages 8 to 12, teaches the basics of meditation and is filled with simple exercises, which she says help kids deal with stress and anxiety, getting to sleep, building self-confidence, focusing on school and also expanding their creative palate. 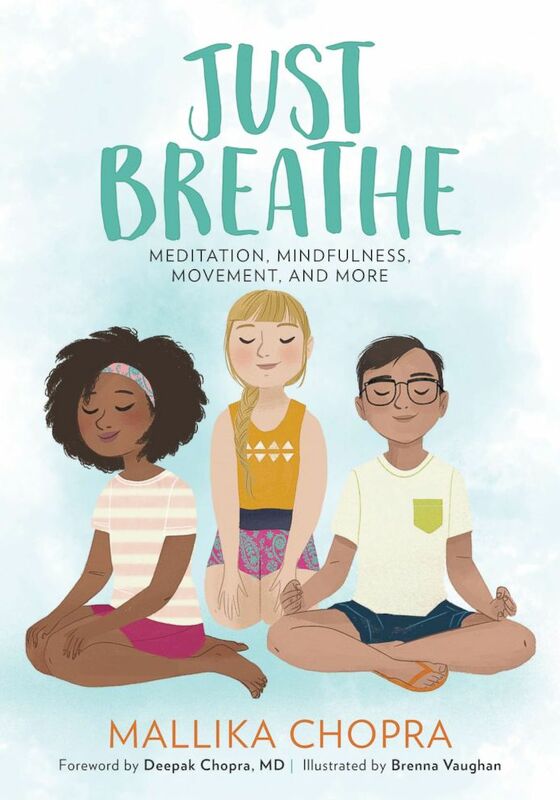 "Just Breathe" is an illustrated meditation guide for kids ages 8 to 12 by Mallika Chopra, wellness expert and the daughter of Deepak Chopra. 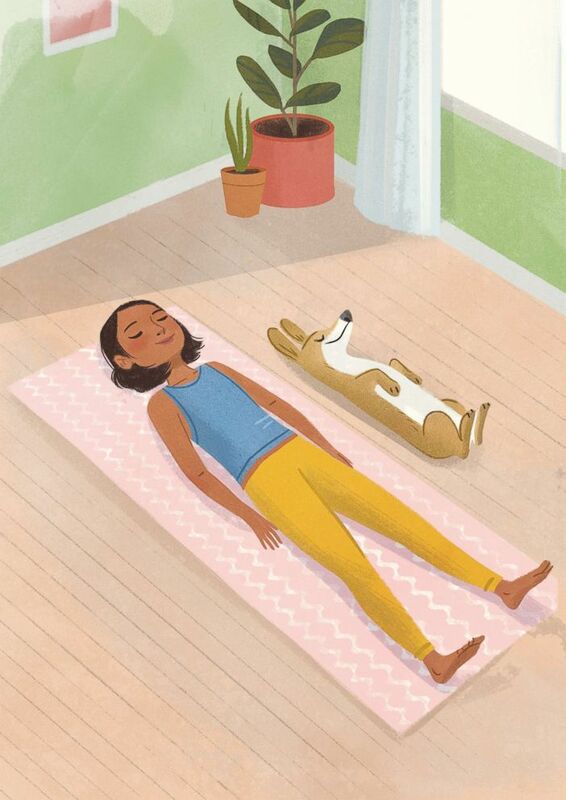 Read on for two sample meditation exercises for kids from Chopra's new book -- a 10-minute meditation and two-minute routine to help deal with headaches. When you rest your brain, like when you rest your body when you sleep, your brain works better. When your brain is rested, you can make better decisions. So meditation can help you feel more in control of immediate stressful situations, but, more importantly it can make you stronger for longer-term challenges. "Just Breathe" details exercises from breathing techniques and guided meditations designed for kids. Your body can tell you a lot about your feelings and your health. You may notice that when you have an upcoming test or a big competition, your stomach feels uneasy. Or you feel tension in your shoulders. Or you may find that when going to your new class for the first time or having to speak in front of your class, your heart beats faster and you start to sweat. By noticing how your body reacts to certain situations, you can figure out ways to calm down when it feels like your body is taking over. The first step is just becoming aware of your body, especially when you are calm. Here is a way you can start becoming aware of your body that should help you when you begin to feel tense or stressed. Find a comfortable place and lie down. Close your eyes. If you fall asleep while doing this exercise, it is okay. It means that you are tired and your body needs more rest! But, instead of trying to fall asleep, you should try to notice different parts of your body. Take a deep breath in and out. Again. In and out. Put your attention on your toes. Curl them tight, then stretch them out. Take a deep breath, and imagine your toes breathing in the air and then letting it out. Move your attention to your feet and ankles. Move them back and forth a bit, then turn them in a circle one way and then the other. Put your attention on your calves and move up to your knees. You may want to bend your legs and stretch them out—feel your knees as you breathe in and out. Move your awareness into your upper legs and to your pelvic area. Can you feel the air as you breathe in and out where your legs meet your body in the area below your stomach? Put your attention on your stomach and take two deep breaths. Breathe in and out. In and out. Notice how your stomach rises a bit when you breathe in. And when you breathe out, it goes back down. Move your attention to your heart. Can you feel your heart beat? Be still. Can you feel it? Breathe in and out. Next focus your attention on your neck and shoulders. Move your head from side to side. Look left then right. Bring your attention to your hands. Bend your fingers into a tight fist then let go, stretching them wide. Breathe in and out. Imagine your fingers breathing in air, and then releasing it as you allow them to relax. Move your attention up your elbows, bending them and straightening them out again. Breathe in and out. Finally, come back to your neck and shoulders. Move your head left and right. Left and right again. Breathe in and out. Now, let’s pay attention to the way in which you process the world. Put your attention on your tongue. Move it around in your mouth and run it over your teeth. Open your mouth and breathe air in, pause, and let the air out. Close your mouth and take your next breath through your nose. Breathe in and out. In and out. Feel the air go into your nostrils then to your lungs. Move your attention to your closed eyes. Keeping them closed, just feel what it’s like for your eyes to be taking a rest. Do you see anything with your eyes closed? Put your attention on your ears. What are they hearing right now as you breathe in and out? Bring your attention to the space between your eyebrows. Breathe in and out. Move your attention to the top of your head. Imagine the space above your head as your breathe in and out. In and out. Now, see if you can pay attention to your whole body as you take one last deep breath in and out. Open your eyes. Before you get up, say THANK YOU to your body. Appreciate how it serves you every day as you experience the world. Today, sadly, lots of kids get headaches. Headaches seem to come from a variety of factors: some are linked to stress, diet, lack of sleep, or dehydration. For some kids, they may come when your body is growing and going through lots of changes. And for some, unfortunately, they show up unexpectedly. You may have to learn to manage the pain and get through them as peacefully as possible. Sleep well—nine to ten hours at least! Exercise regularly—the yoga exercises in this book are great exercises, but you can also go for a run, play a sport, take a bike ride, or even jump rope! Notice if you get headaches when you eat certain foods or miss a meal. When you have a bad headache, it may be more comfortable to sit in a dark, cool room. Sit as comfortably as you can. If you feel more comfortable, you can lie down. Place your hands in your lap or by your sides with your palms facing up. Begin by breathing. Breathe in to the count of three. One. Two. Three. Then, breathe out to the count of four. One. Two. Three. Four. Now, continue to breathe and put your attention on your heart. Can you feel your heart beat? Sense its rhythm? Shift your attention to the tips of your fingertips. See if you can feel your heart beat in your fingers. Stay as comfortable as you can, lying down, and nap, if possible. The goal of this meditation is to help divert the blood flow from your brain to other parts of your body. When you get a headache, often the blood vessels in your head, neck, and shoulders get smaller. By feeling your heart beat in your fingers, you may help your blood flow better and improve your headache. Reprinted with permission from JUST BREATHE: Meditation, Mindfulness, Movement, and More © 2018 by Mallika Chopra, Running Press Kids.